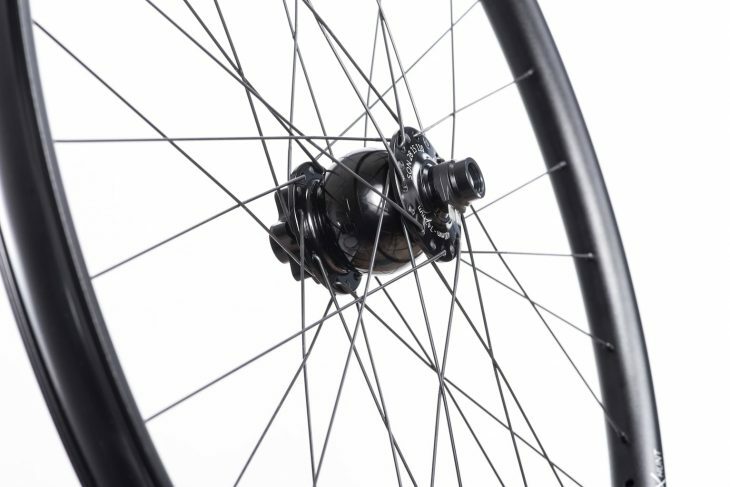 No sooner have we started testing a pair of Hunt Bike Wheels (the Adventure Carbons – so far, so good, by the way), that the Brighton based company go and announce not just one new wheel, but two. 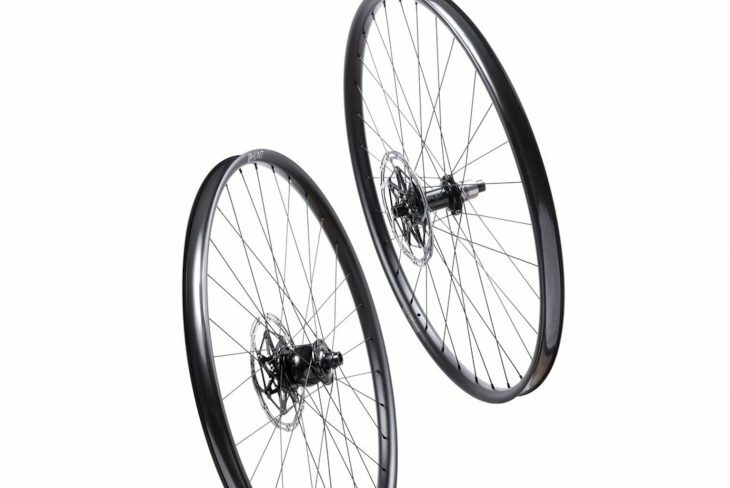 Created for the ‘Josh Ibbett‘ (ultra-distance heroes) types but also for ‘us’ (less super-human) types who want the convenience of a dynamo hub (more on that in a tick) combined with a set of wind-cheating carbon rims when commuting, training, putting in winter miles or road/gravel bike-packing. Setting out without a set of charged lights becomes a non-issue. The 30 Carbon Dynamo Disc looks to be good partner for the long dark miles of winter. 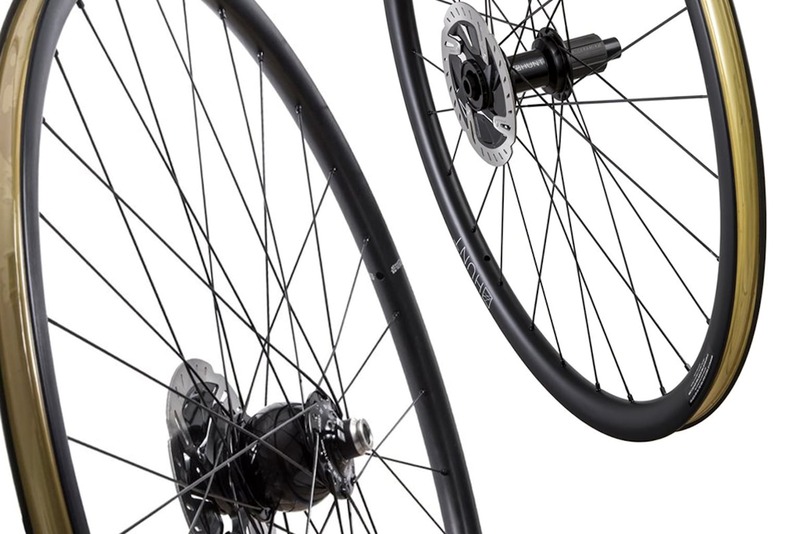 The wheelset uses Hunt’s well regarded wide tubeless 30 Carbon rim, extra sealed and shielded 4Season Disc rear hub, and a 28-spoke build with triple-butted spokes. Rather impressively, the dynamo only adds 239g when compared to the company’s lightest disc brake wheelset. Nice work. 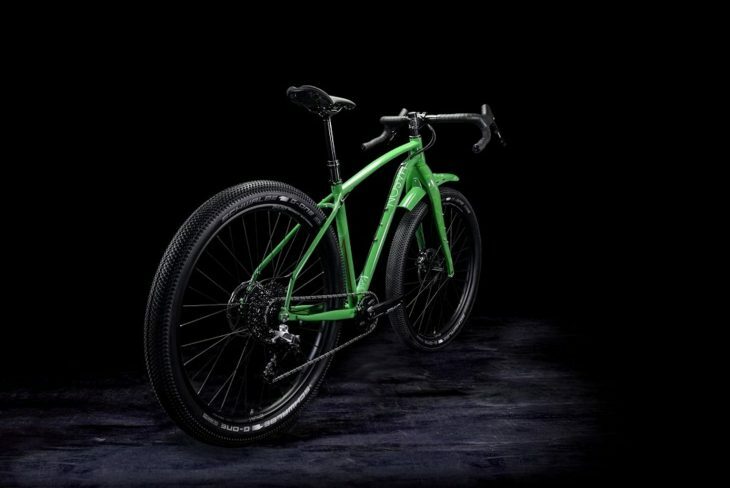 Obviously, one of the benefits of disc brakes is that those nice carbon rims won’t get eaten away by the winter grime as they would in the “good old days” of canti-braked ‘cross. Out of context, there are few odd spec choices to these wheels. Hunt describes them as 29in, rather than 700c – largely due to their wider internal width. 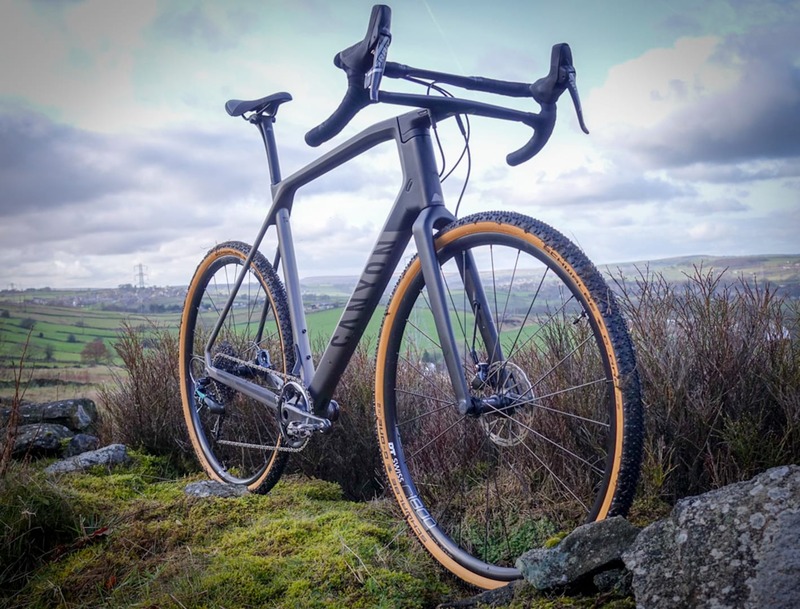 The boost spacing means that they are unlikely to be compatible with many gravel bikes at the moment, although, these were made in conjunction with Mason Cycles and feature on Mason’s new InSearchOf gravel bike. 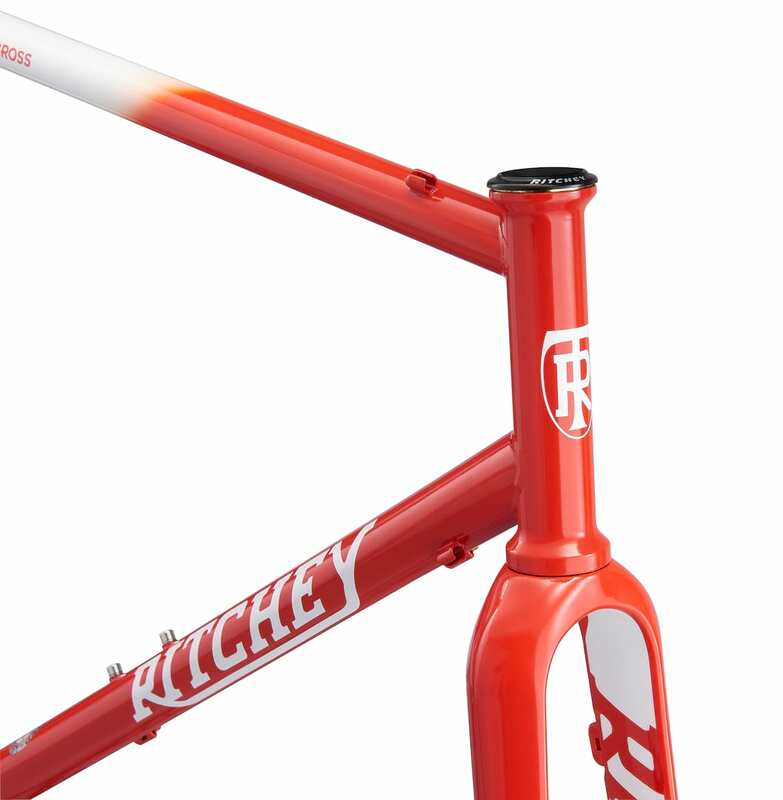 Keep your eyes peeled for more info on the bike shortly Check out that bike here, but Mason has designed for “covering huge distances and riding fast across every imaginable terrain. The full custom Mason X Dedacciai steel tubeset gives incredible ride quality and feedback with multiple mounting points and huge clearance for high volume tyres”. The Search 29 Dynamo wheelset features a wide alloy rim capable of running 2.3″ – 3.0″ tyres and the same dynamo as featured on the Carbon Dynamo Disc. SON is a German brand – and for those in the know are probably the go-to for a dynamo that will work in all conditions. Using the German testing standard of 3 watts/6 volt dynamo output (11-12mph/17.7-19.3kmh with the SONDelux) just 4.6 watts of your rolling power is used – we reckon that’s barely noticeable unless you are on a TT course. With the light off/unplugged (e.g. daylight riding) the graph below shows that for the SONdelux there is less than half a watt extra rolling resistance compared to a high quality normal non-dynamo hub. The real benefit of a dynamo though, is that you don’t need to worry about charging batteries on commutes, and then on much longer rides, there’s no need to worry about those batteries dying. There are also lots of charging options on the market, which allow you to power a GPS, trickle charge a battery pack for your phone etc… allowing for much greater self-sufficiency. Both wheelsets sound good to us, and if they live up to the standards Hunt has set so far, we reckon they’ll be an excellent choice for going the distance.